Apple to finally produce a budget iPhone? 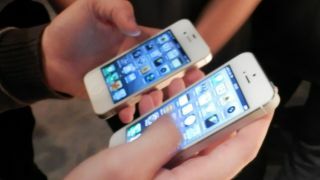 Reports are coming in that Apple could be set to renege on another strategy and finally build a cheap iPhone. The usually-reliable Wall Street Journal reported that Apple has been researching a lower-end iPhone, something it's been looking at for three years, according to people "briefed in the matter". However, the plans are now "progressing", and would see the aluminium casing of the iPhone 5 shorn and a cheaper polycarbonate exterior used in its place. In the same manner as the iPad mini, which repurposed a lot of the iPad 2 internals, the cheap iPhone would use bits of older handsets to see it sold at a lower price point in new markets. The move would be a change in stance for the Cupertino brand, which has previously used its older handsets as the budget alternative to whatever flagship is being sold. However, even the iPhone 4 still costs a horrendously high amount for a handset that's nearly three years old. There's also the issue of catering for the next wave of smartphone users: the emerging markets are now moving to smartphones and can't afford the high prices Apple charges to preserve its profit margins. Digitimes, that ever reliable news source, is claiming that Apple is building a budget model just for China, which would feature a larger 5-inch screen. Such a move would make sense in a way, given that Apple hasn't gained as much traction in this key territory as it has in other areas. It's reported that Samsung is considered a more popular brand in this region, with models like the Galaxy Note 2 performing well among the youth. Tim Cook has also been spotted headed out to this regio - but then again he could simply be a fan of authentic Chinese cuisine. The iPad mini showed that Apple was willing to bend on previous stances regarding its products - but would you be willing to buy a cheaper iPhone if it meant you knew you were getting a substandard experience compared to the cooler kids?